What are the different texture maps for? If you've used other texture sites, you're probably used to seeing just 1 image texture. So why does Poliigon have all these extra images?? What do they do? This is what you'd find on most texture websites. It's a standard photo that you'd get if you stood in front of the material and photographed it. Use this map to color your material. An albedo texture is very similar to a diffuse map, but with one extra benefit: all the shadows and highlights have been removed. "Why would I want a texture like that!?" Well an albedo map can actually be more realistic depending on what you need. Sometimes shadows and highlights can be too heavy, or even unnecessary if you're using a displacement texture on your mesh. A good rule of thumb is: try the Albedo map first (use it wherever you would normally put the Diffuse), if it looks good, great! But if it's lacking definition, switch to the Diffuse. It really is a matter of personal preference. Sometimes you actually want the opposite of the Albedo map: more shadows! So if you want your detail to have more pronounced detail and shadows, you may wish to use the AO map together with your Diffuse or Albedo texture. Use the map on a blend mode of Multiply with the Diffuse/Albedo. While it looks weird to your eyes its actually perfect for your 3d software, because each color represents a different axis of direction. So essentially, the computer can easily understand the shape. A normal map is great for small to medium size bumps. If you need larger bumps than what it provides, you'll want to use a displacement map as well! Used for deforming the actual mesh. Usually this is used for surfaces like ground, rocks or cliffs, where the shape of the material is important as it requires significantly more mesh detail. Connect this to the displacement of your mesh. This map is only used in non-PBR specular workflows - it states where the reflection should and should not appear. For PBR workflows, ignore this map as physically speaking all materials have reflection and eliminating it isn't possible. A Gloss/Roughness map will likely create the effect you're aiming for. Used in PBR shaders, this map controls the sharpness of the reflections, and should be plugged into a Gloss or Roughness Input. The terms Gloss and Roughness are interchangeable - they are simply inverts of each other. 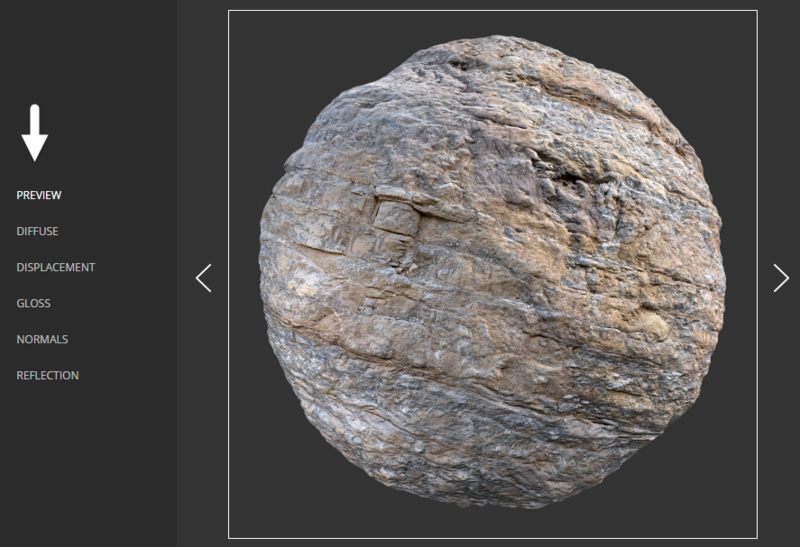 So if your software calls it "Gloss" like (Marmoset), but there is only a "Roughness" map provided, simply invert it in the software (usually a checkbox is provided) before connecting. It's often adds a lot of character of hard surface materials like wood or metal, so make sure you use it!